There’s nothing like the sultry elusiveness of the last summer month to inspire wanderlust. Along your journey, don’t forget to make pit stops for a couple of quick stretches. Forget the trending airport yoga rooms: there are basic yoga postures that you can do anytime and anywhere, even without a yoga mat. 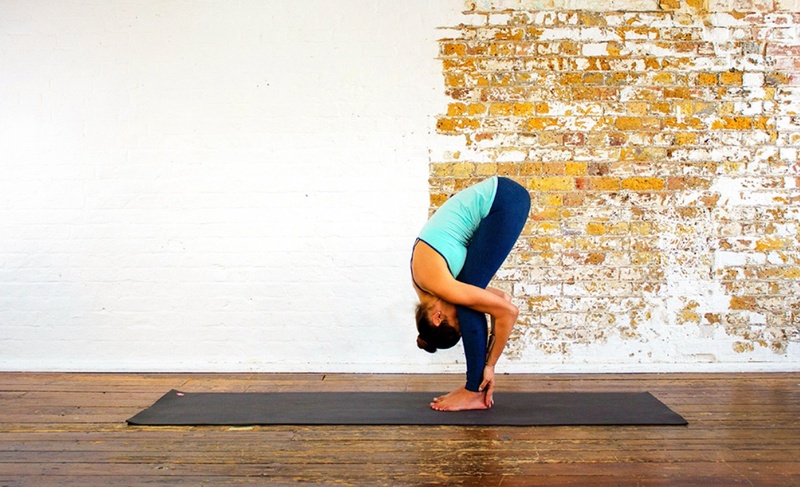 The backbend variation of half moon pose stretches and realigns your spine. 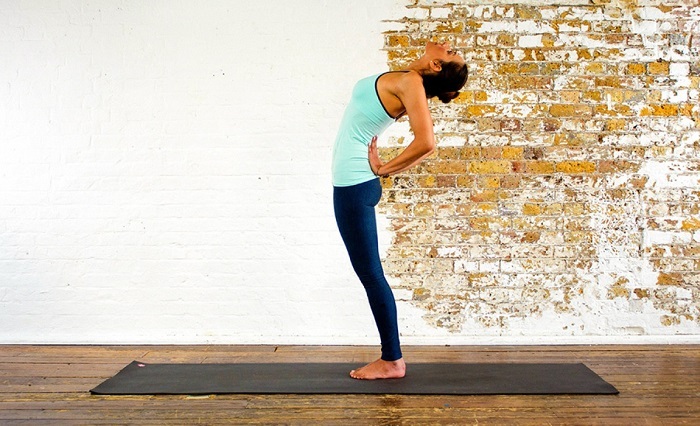 The pose helps release tension in the lower back. The pose strengthens legs, stretches the spine and tones the abs. Prasarita Padottanasana can relieve mild back pain and fight fatigue and tension, common after a long flight. 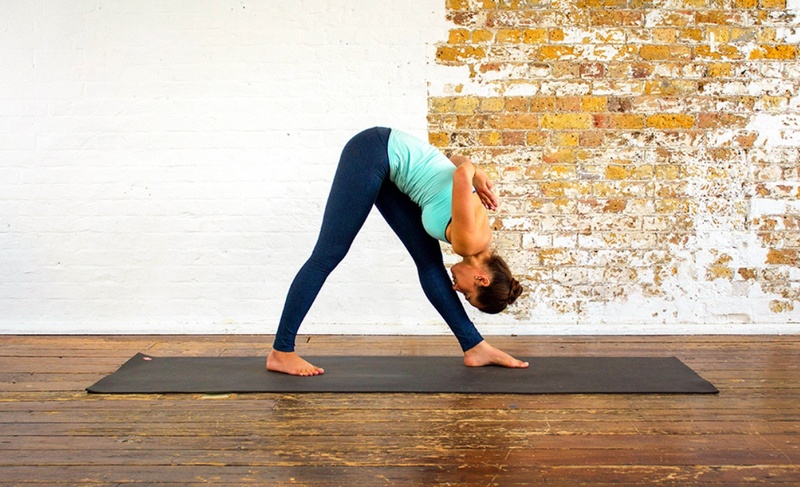 Standing forward bend is often practiced as a “resting” pose in sequences, but, in itself, it is great for strengthening the thighs and knees. 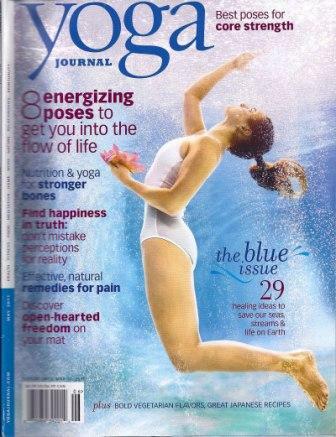 It relaxes the whole body, reduces anxiety and fatigue, and improves digestion. This asana stretches the whole body from the spine and shoulders to the hips and hamstrings. Ardha Parsvottanasana increases circulation in the abdominal area, improving digestion. The posture gently twists the spine, relieving stiffness in the neck and shoulders. Why do yoga while you travel? Yoga stretches help relieve tension and promote better blood circulation. As travel can be a major stressor (flight delays, crying babies on the plane, changing time zones, etc. 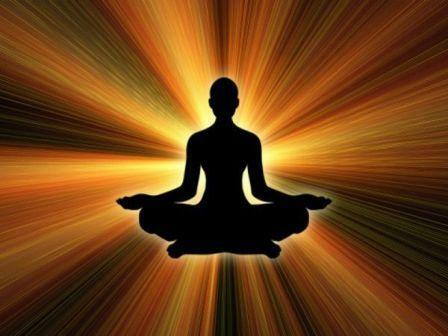 ), yoga can help you keep calm in any turbulence. Should I take my yoga mat with me on a trip? By all means, if you want. Standard yoga mats, compactly rolled up, can travel with you in hand luggage. Last time I travelled, I brought my yoga mat (on a strap) as a “personal item” in addition to my carry-on bag. On a road trip, it’s even easier as you can always throw it in your trunk. What's the best way to practice yoga during travel? Take your mat outside and let our pocket yoga studio app guide you through your favorite sequences (check out Yoga.com for iPhone and Android). Try beach yoga or SUP yoga, if you can find paddle-board-equipped classes wherever you’re staying. Tags:- Yoga On The Road, Yoga on travel, yoga poses on travel, Road Trip Yoga, Yoga Practice When Travelling, yoga practice, Yoga Poses, Half Moon Pose.